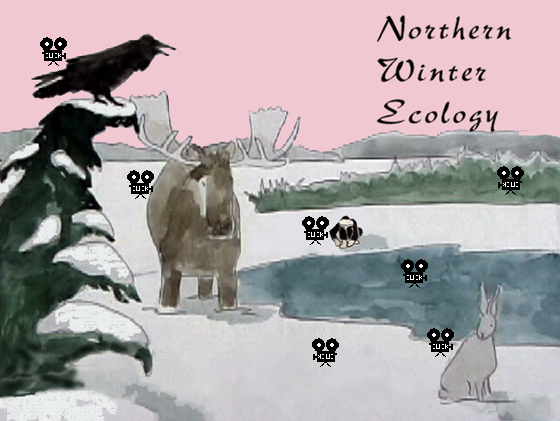 Welcome to "Northern Winter Ecology"... click on the image map below to see the movies. This page was last updated 2001.03.09. Copyright 2003 piWOWeb Ventures all rights reserved. For distribution information and evaluation copies please e-mail us.